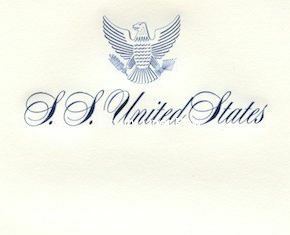 Not typically seen this stationery from the ss United States. The previous owner took it off the ship himself when he visited her in 1986. 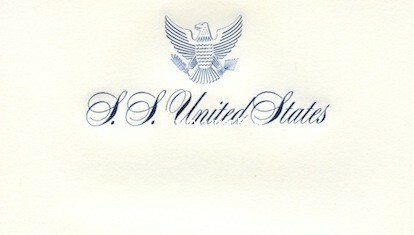 Both the logo and the ship’s name are embossed onto the sheet. In mint condition, and a small quantity is available. Watermarked by the maker. Each sheet is folded and, when open, measures 11” x 8½”. A quantity available.